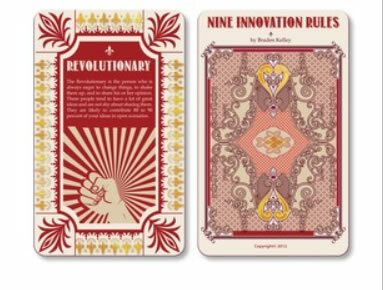 We are in the final day of the CrowdSpring $500 design contest for designing the Nine Innovation Roles Card Deck. Once I pick a winner then I will need to pick a printer for the large format cards. 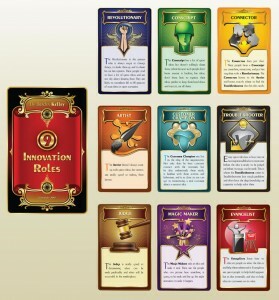 There are some very interesting and widely diverse designs to choose from for the Nine Innovation Roles Card Deck and I’d love to hear your vote on which winner I should choose in the comments below by adding a comment that says “Design One” or “Design Seven” or “Design Nine”, etc. 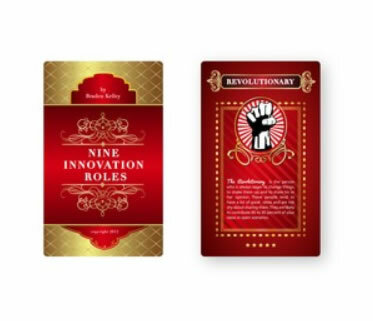 Braden Kelley is a Director of Innovation and Human-Centric Problem-Solving at Oracle, a popular innovation speaker, workshop leader, and creator of The Change Planning Toolkit™. 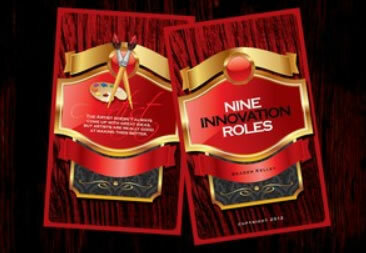 He is the author of Stoking Your Innovation Bonfire from John Wiley & Sons and Charting Change from Palgrave Macmillan. Braden has been advising companies since 1996, while living and working in England, Germany, and the United States. Braden earned his MBA from top-rated London Business School. Follow him on Twitter and Linkedin. This entry was posted in Design, Innovation and tagged contests, Crowdspring. Bookmark the permalink. You should be asking this question of your intended target, end user or at least providing a description of whom these are intended for. Thank you for your feedback Leah. All that input was provided in the design brief on CrowdSpring and in the end I’ve gone with #4 because I felt it to be the most fun, inspiring, and luxurious of the designs. 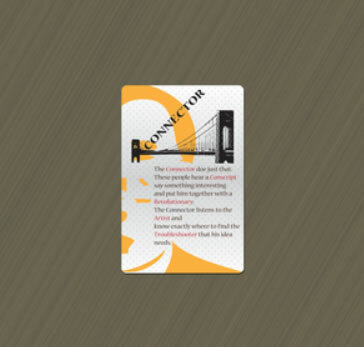 Currently having 3.5″ x 5″ sample cards being printed up to take to the Front End of Innovation conference to hand out. I like six because it is brighter and more readable than the others. It also has a retro feel while still looking modern. Thank you for your feedback Danny. #6 was a very cool design but in the end I’ve gone with #4 because I felt it to be the most fun, inspiring, and luxurious of the designs. Currently having 3.5″ x 5″ sample cards being printed up to take to the Front End of Innovation conference in Orlando next week to hand out. Thank you for your feedback Grace. #3 was one of the more unusual designs and has its place, but in the end I’ve gone with #4 because I felt it to be the most fun, inspiring, and luxurious of the designs. Currently having 3.5″ x 5″ sample cards being printed up to take to the Front End of Innovation conference in Orlando next week to hand out. If you’re going with the fantasy look, I like #4. Kind of fantasy, but not over the top. But for a business crowd, I agree with those who said #3 probably is better. Not to mention probably more readable for the sight impaired (which includes most boomers). That’s assuming, of course, that there is cultural, racial, and sexual diversity in the choice of people in the background. But then that could raise more problems than it solves. Anyhow, thanks for asking. Thank you Sharon for the feedback. The brief on CrowdSpring included many things including a guidance towards fun, inspiring and luxurious. Currently having 3.5″ x 5″ sample cards being printed up to take to the Front End of Innovation conference in Orlando next week to hand out. Thank you very much for your input everyone. I thought Design 6 was awesome, and Design 3 was the most out of the box (and reminded me I need to probably next focus on my personal brand imagery), but in the end Design 4 matched the brief most closely which was to create a design that was fun, inspiring, and luxurious. 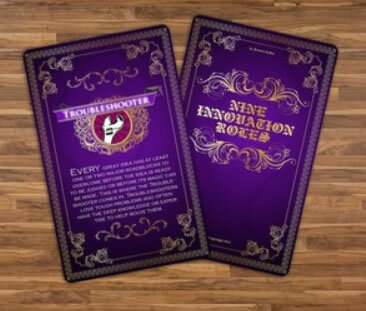 For the boomers out there don’t worry, these won’t be standard poker or bridge size cards. 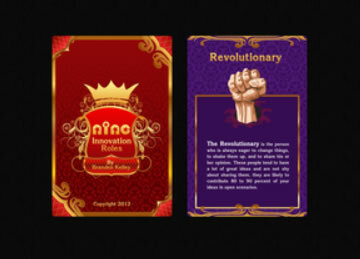 These are intended to be large format cards to make them more luxurious to use and easier to read. Thank you for your comments and support! 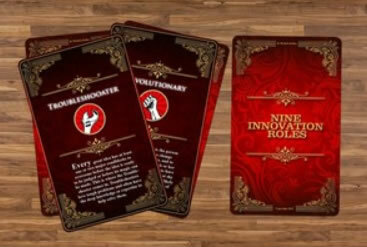 Number 3 is the only one that doesn’t give me the feeling of being “Old Maid” cards. Maybe maybe that’s the feel your looking for? Thank you for the feedback Steve. Going for fun, inspiring, and luxurious amongst other things – to help spark dialogue and unlock the inner child. I like number 4. I like the font, colors and graphics. 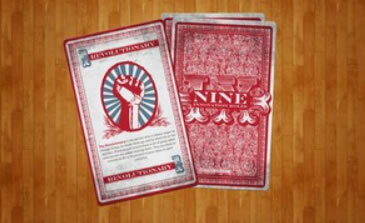 Some of the others feel a little oppressive, while others look nice, but are difficult to read. Others look too old fashioned. 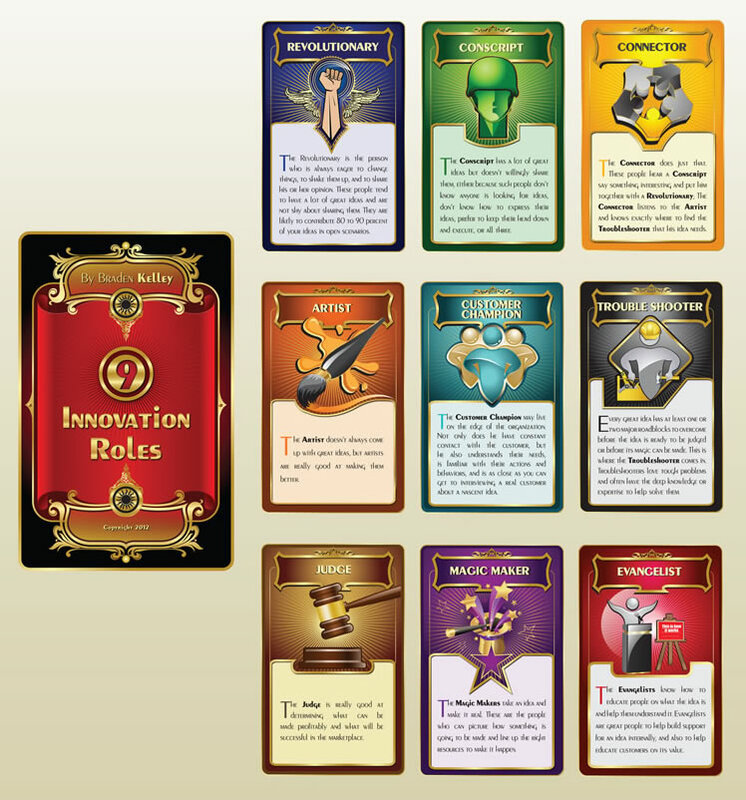 Samples are currently being printed in large format 3.5″ x 5″ cards for me to pass out next week at the Front End of Innovation conference in Orlando. Design four is the best to attract and clearly message to readers.